Horrific deaths: Just like the Final Destination movies! Two of teens killed from a group of five swimming at the Cascade Falls area in the Waitakere ranges have been named. They were Mitch Woolley, a 17 year old from Waitakere, and Sosi Turagaiviu, also 17, who lived in Massey. A man was caught by incoming tide and killed at Auckland’s Awhitu Regional Park, where he was fishing with two children. A fatal crash occurred on Middle Road, Otane. One person was killed after a car rolled on Oparure Road, between Boddie Road and Gadsby Road, west of Te Kuiti at 4:18am this morning. 19-year-old Kelsey Runga of Rotorua was the woman who was killed in a crash on State Highway Two at Waikino, Hauraki on Friday night around 9pm, police said. 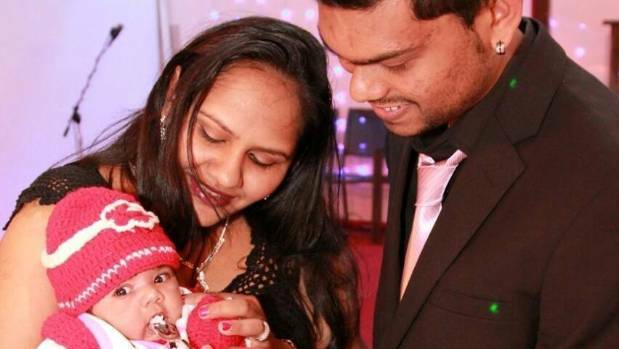 Kelsey was believed to be due to give birth in May, a report said. Two other people were injured in the crash, one critically, the other seriously. 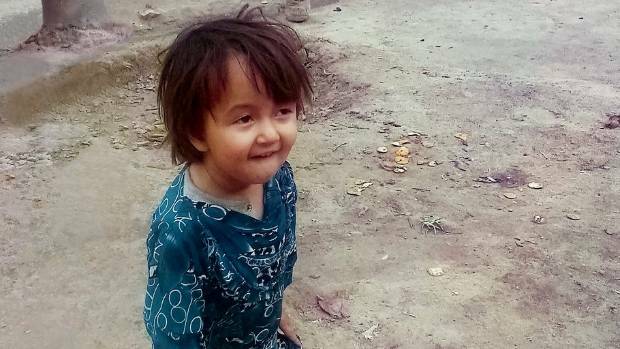 The young victim is in a serious condition after he was hit by a car at Tokaanu, on the southern side of Lake Taupō, a report said. Road Crash Victims Nos. 90 to 92 have not been identified by police. Dead ducks and rotting, fly-riddled fish are rapidly piling up around the banks of Lake Te Koutu in Cambridge. “Simote Vea, listed on LinkedIn as the customs compliance manager for DHL Global Forwarding, has been charged by Customs with importing several kilograms of the Class A drug (methamphetamine). The driver who was murdered by police in pursuit was Morocco Tai, aged 15 of Otara. He was allegedly involved in a pursuit on 22 September 2017 on the Southern Motorway. Reports of only seven road fatalities were allowed by police over the weekend, despite at least 43 known serious crashes. 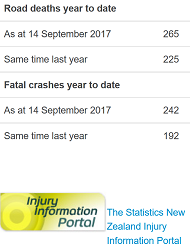 Strict police censorship also meant NO road fatality reports were allowed on Oct 3 – 5, despite scores of serious crashes over the period. Well, at least, it would save MoT time and money not having to resurrect the road carnage victims. Another murder-mystery disguised as car accident? What caused the fatal crash in Napier last month? No road fatality report allowed by police today, yesterday and the day before (Oct 3 – 5), as of writing, despite more than two dozen known serious crashes. At least, it would save MoT time and money not having to resurrect the road carnage victims. A massive landslide has “completely covered” State Highway 2 at Karangahake Gorge between the Coromandel and Kaimai ranges, police said. A fatal road crash occurred at about 10.25am this morning in Lyttleton. A small truck has crashed into two parked cars on College Road, Lyttleton killing the driver. Saturday, September 2. 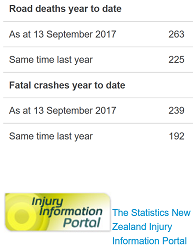 ONLY two road fatality reports allowed by police, today, as of posting, despite at least 21 known serious crashes that have been reported locally. At least FIVE, possibly as many as SEVEN, people were killed in serious crashes on Wednesday, August 23, according to an informed source, but only three of the fatalities were reported by police. You want to get really confused? People living in Wellington, Christchurch, Auckland, Tasman Bay, Bay of Plenty and Hawke’s Bay regions are either very brave, or extremely stupid. Then again, karma returns in mysterious ways! Caravan stolen from Petone with man still inside!! “A man sleeping in a caravan in Petone overnight got a rude awakening earlier this morning, when he realised he was on the move. “Police were contacted by the man just after midnight, who told them that the caravan was being stolen, with him inside. “Shortly after 4pm two men have entered a liquor store in Pakuranga and stolen alcohol. They have then fled in a vehicle. Two men dressed completely in black and wearing balaclavas entered the service station and confronted the three attendants. None of the attendants were injured, but were shaken by the ordeal and have been offered victim support. The offenders have taken cash, confectionery and nine trays of cigarettes, police said. A man entered the grounds of the Knighton primary school in Hamilton and assaulted a student about 11am on 27 July. The nature of assault and gender of the pupil remain unknown. What’s the best thing that could happen to Auckland? Over the last 12 months, people with two or more homes have bought 9,470 additional houses, or 39.2 per cent of all houses sold in New Zealand’s homeless capital, Auckland, according to a report. The greed to make more money from the unfortunate who live in rental properties, meanwhile, is pushing up rental prices, forcing hundreds of families out onto the streets. 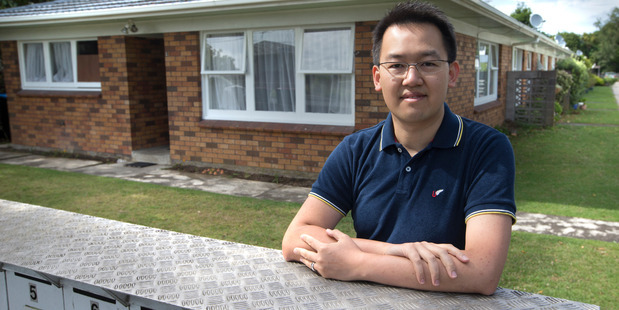 Gary Lin, a 33-year-old civil engineer owns 11 rental properties in Auckland. He is grateful to the government for the favourable tax treatment, the negative gearing, which allows landlords to claim a tax break on rental losses. 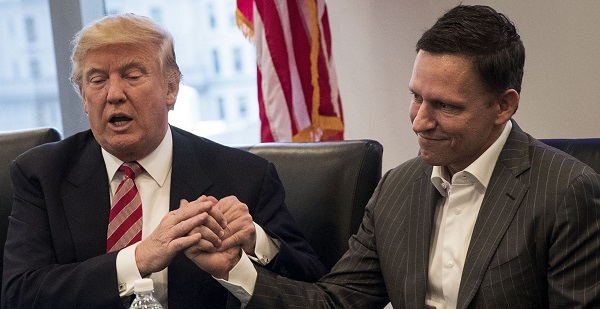 Clearly, Mr Lin and other greedy investors like him, who prey on the less fortunate, cannot comprehend that forcing families out onto the street is highly immoral and socially unsustainable, despite the vacuum in the legal system permitting this level of exploitation, which has also resulted in a worsening corruption within the government. Foreword: As the UK voters line up for BREXIT (vote on EU membership), could NZ also hold a referendum on NOT to elect politicians like John Key and his gang whose allegiances are, at best, questionable? “Chinese manufacturers were repeatedly told there should be no asbestos in trains they were manufacturing for KiwiRail, new information confirms”, according to a report. Regardless, 40 of the 48 locomotives made for KiwiRail were contaminated and had to be taken out of service when asbestos was discovered; the have still not been completely cleaned up more than five years later. A backroom deal by the PM over the purchase of KiwiRail locomotives is coming back to haunt the government, says New Zealand First. “The PM and Minister Steven Joyce have some explaining to do. Why did the KiwiRail tender for the locos get re-opened when they visited China,” says New Zealand First Leader and Northland MP Rt Hon Winston Peters. “There were already four companies shortlisted, none from China. The PM’s intervention wreaked of a backroom deal done on that trip. He meddled in the market with no concern for KiwiRail. “Despite this sweet deal the Chinese makers did not comply with KiwiRail’s instructions and delivered dangerous goods. “This is the price of doing favours and rushing in to sign up for cheaper foreign products. “We are being landed with substandard rubbish – right now we are paying the price for importing shoddy steel and poor plumbing products. “Buying New Zealand made, if possible, should be the mantra. When local firms win contracts there is a substantial spin-off to other businesses and communities. 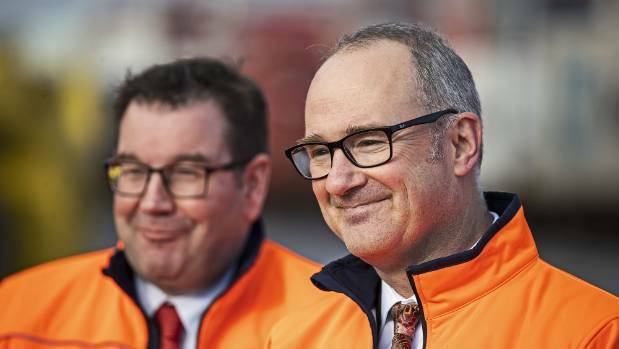 The union said even the Chinese workers might have been exploited, as KiwiRail decided to use them without finding out how much they would be paid and without even caring about the matter one way or another. “If a company funded by the taxpayer will not create jobs for New Zealanders, who will?” the general secretary of the union, Wayne Butson asked. The NZ Transport Agency (NZTA) is trusting Steel and Tube to investigate itself [gimme a break! ], after the company imported 1600 tonnes of substandard steel for the Huntly bypass. A reader is asking Christchurch City Council whether the tenants are backpackers or the homeless.